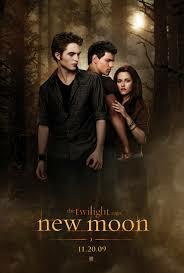 New Moon in theatres that is! I'm off to see it in the morning with my sister-in-law and to say that I'm excited is an understatement. Truthfully, it was my least favorite of the books being that I am a huge fan of Edward, but I still can't wait to see it! I've heard from those that have seen it already that it might make me join the Team Jacob bandwagon...doubtful, but we'll see! A Picasso in the making?